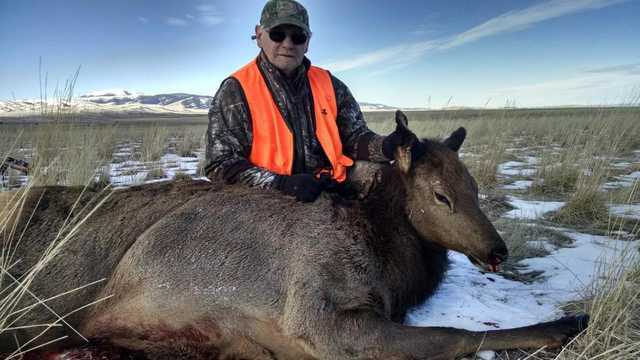 A Guidefitter contest offers a chance at redemption for my Dad to fill his Elk tag. Near misses and warm weather bring us down to the wire. 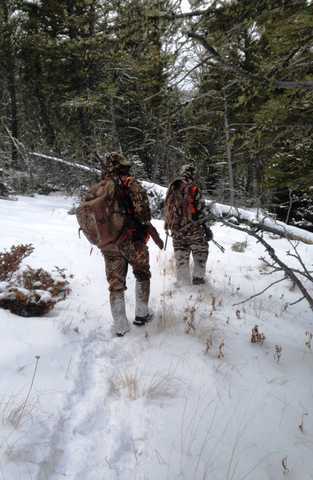 We were not supposed to be hunting in Montana in 2015. In fact, I did not expect to be hunting elk again for at least 4-5 more years. 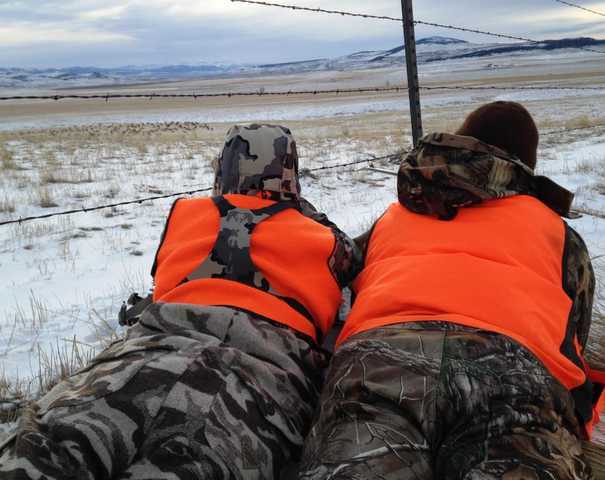 You see in 2014 my family and I embarked on our first ever western hunt. This was a hunt that took 3-4 years of planning and penny pinching. Our 2014 hunt was very successful--taking 3 elk and 3 deer between 5 hunters--but my dad never had an opportunity to fill his tags. 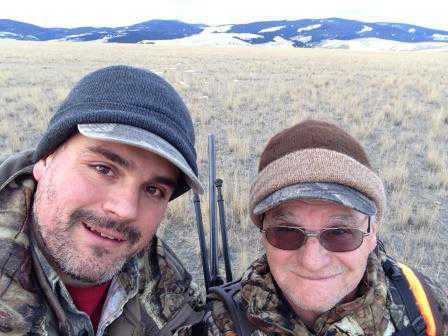 So when I saw that Guidefitter was sponsoring a story contest with the winner receiving a guided elk/deer hunt in Montana, I decided to write about our trip with the hope that I could send my dad back to Montana to fill his dream of getting an elk. I wrote the story and waited for the contest to end. 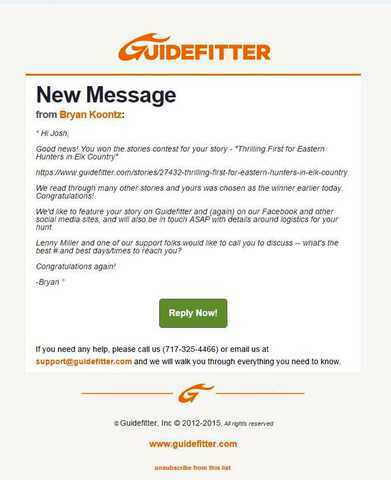 Then I received this message from Bryan Koontz at Guidefitter. I won. 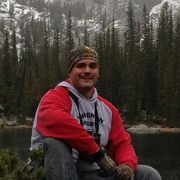 I was going hunting in Montana again just one year after getting my first elk and mule deer. 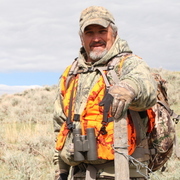 I immediately began talking to the folks at Guidefitter and Rawhide Guide Service, where the hunt would take place, to see how I could get my dad along on the hunt. He would not have been able to afford the full price of the hunt, not just one year after saving up for our 2014 hunt, so we asked if we could split the hunt. Rawhide was very accommodating. For just the cost of the extra guide, they were going to allow my dad and I to split the hunt--he would hunt elk and I would hunt deer. So plans were made. We began working out again, preparing for another elk hunt. Perhaps this year we could get my dad his elk to fill his bucket list. 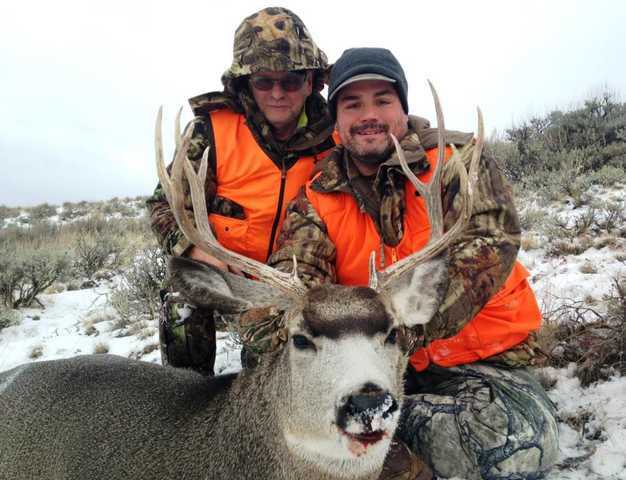 We scheduled the hunt for the last week of the season at Rawhide. This late November hunt should be extremely different from our hunt last year. Last year we hunted the first week of the season, on public land. 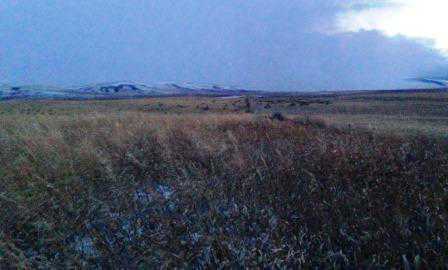 This year we would hunt near the end of the season on private land. It should be cold with the big bulls pushed down out of the mountains and onto the flats around our outfitter--in theory. To save money we again decided to drive to Montana. I left Virginia after work on Friday, November 13, and arrived in Pennsylvania that night. We packed up and immediately got on the road, it was 12:30 am on Saturday. 6:30 am on Sunday, November 15 and we are ready to hunt! 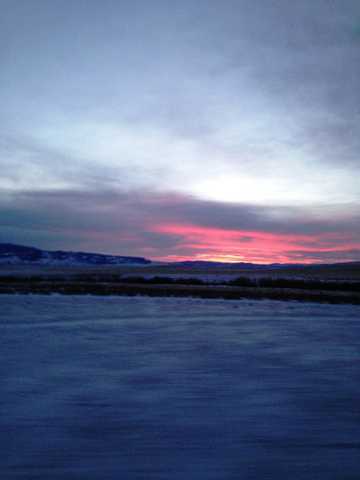 After a near non-stop 32 hours of driving we pulled through White Sulphur Springs, Montana just before first light. We have 2 days until our hunt at Rawhide is scheduled to start so we want to take advantage of all of the time we have to try to get my dad his first mule deer. Last year, he spent his entire hunt looking for elk and never had the chance to hunt for deer, so this year we were gonna try on our own on some of the public land around White Sulphur Springs. First stop is a Block Management Area I had seen on the map. We are extremely tired from the drive, but that's nothing a little leg stretching wont cure. We headed out into the BMA and immediately found ourselves surrounded by antelope. We circled around them and went to check out a creek bed. That's dad down there in the bottom. After about 8-9 miles we got back to the car. We were pretty whipped. No elk or deer out there, just lots of antelope. Still no point in checking in to the hotel, so we decide to take a drive around and check out some more pieces of public land. SIDENOTE: After a 30+ hour drive, one should probably call your wife to let her know you made it to Montana and did not die in a fiery crash before you go out of cell phone service for about 5 hours. Needless to say, I had a few messages waiting for me when we got back. 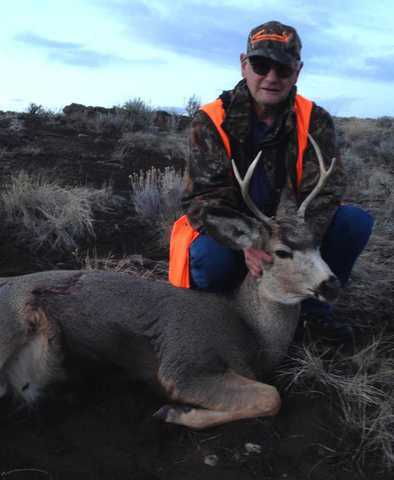 And just like that dad filled his deer tag on his first ever mule deer. We are now officially DIY western hunters! After driving around a bit, glassing some more Block Management Areas from the road and listening to the Steelers game, we decided we were ready to take another walk. We found another BMA ranch, signed in and went to the parking area. It's funny, there were 5-6 other cars at this one piece of public access land, but no one else was getting out and walking. They were sitting on top of the plateau waiting for the deer to come out in the open green field in front of us. We walked out across the field and immediately saw some does on the far side near the fence and the drop-off from the plateau. We snuck around them and went another mile or so, glassing the hill sides on the western side of the plateau. It was not long before we saw three does, and this small buck trailing them. My dad is typically a good shot. A very good shot in fact. But he is also from Pennsylvania where the longest shot he has ever attempted was probably only 200 yards. Sure we practiced out longer preparing to hunt the west, but this was not practice. So when the deer looked like it was getting ready to go the other way at 600 yards, dad shot, and missed. 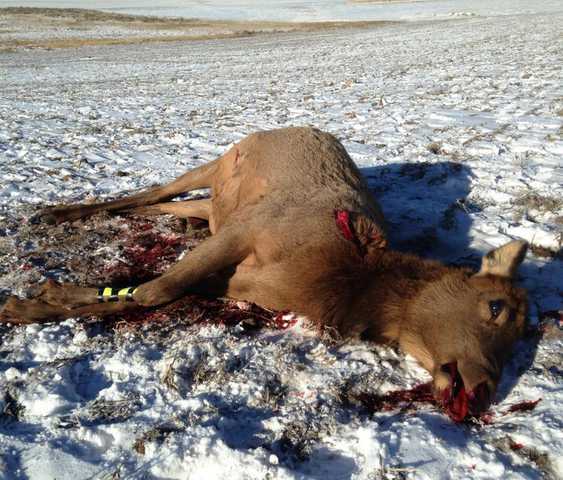 It moved to 500 yards and dad managed to get a shot into him, but he was not finished. Dad opted to use my gun which is equipped with elevation turrets for the finishing shot instead of guessing the holdover through his scope. Not a tremendous trophy, but it is his first western animal, his first mule deer, and our first on-your-own adventure in Montana. Could not be happier with how this trip is starting out. The good folks at Rawhide let us bring dad's deer in to use their skinning/processing facilities, even though we were not yet checked in. This is a great facility where they bring in all of the animals harvested on the hunt whole to maximize the meat you get. So after a good long day of rest we arrive at Rawhide Guide Service ready to "start" our hunt. With one deer tag already filled hopes are high. The accommodations at Rawhide are simple and modest and we are perfectly fine with that. A good hunt, with lots of game and good people is what we are looking for, not 5-star lodging. I do have to say that the food was excellent and there was plenty of it. So we have no complaints. 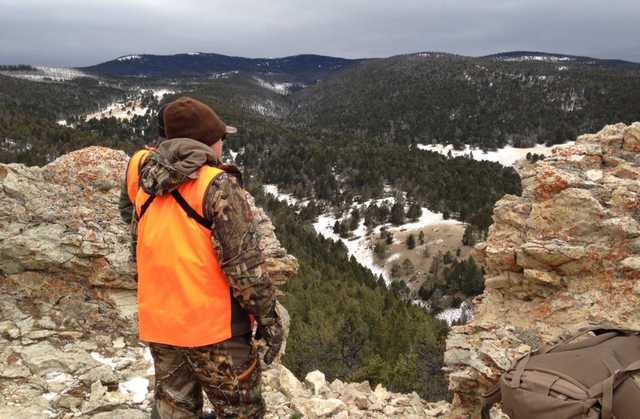 The first morning of our hunt found us with our guide Troy on a private ranch near the edge of the Lewis and Clark National Forest and the Little Belt Mountains. 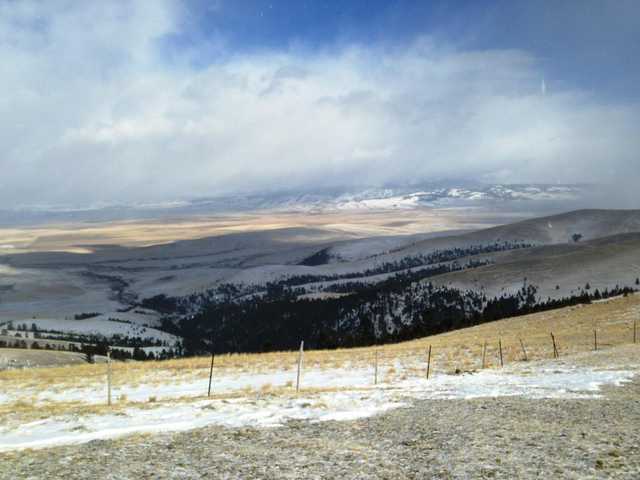 This ranch is primarily a mule deer hunting location for us with the possibility of elk being on the property as well. In fact on the peak of the mountain in front of us, we glassed a group of cows and spikes, no bulls though. 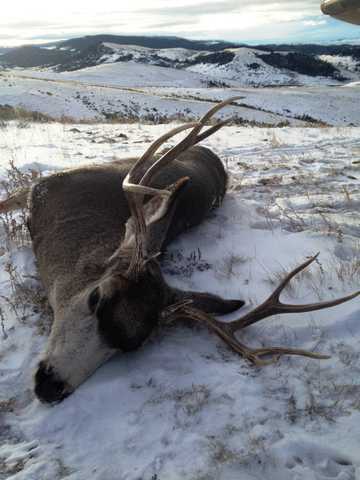 My personal goal for this hunt, other than getting an elk for my dad, is getting a good mule deer. I don't need a record book animal, but since my first mule deer last year was a fork-horn, this year I wanted to nice 4x4 (or better, of course). It did not take long for us to start seeing deer from this glass point. And then a buck showed. Since this is mid-late November the bucks were rutting and chasing the does. The answer was yes. Boom. Could not be happier. I continue my personal streak of filling my tag on day-one of the hunt. This is exactly the type of deer I was looking for. A nice 4x4 mulie with brow-tines and good forks. Sure it could have had better mass, but it is definitely a trophy to me. The other good thing is that we can now spend the rest of our 7-day hunt focused solely on getting my dad an elk. 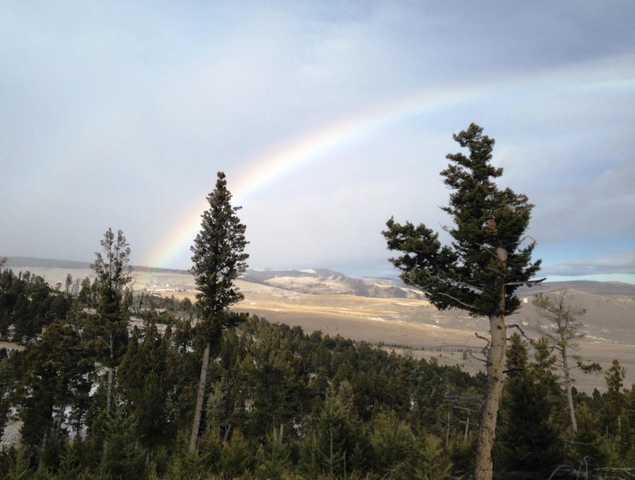 As we head to the next ranch looking for elk, I saw this rainbow. Hopefully there is a big bull at the end of that rainbow. 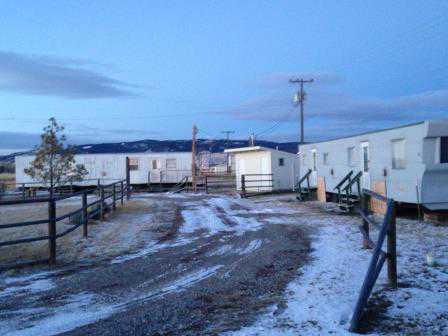 The evening of day-one, November 17, found us on another ranch bordering on National Forest lands. This time we are in the Big Belt Mountains on the edge of the Helena National forest. This is some beautiful country. Day one ended overlooking a burned out area, but no elk were to be found this evening. Day two dawned with high winds. Today we traveled south of White Sulphur Springs to some private ranch lands overlooking the canyons on the western side of the valley. On day one, two of the other hunters in camp harvested bulls and a mule deer buck in these canyons so we thought we would go to find what was left there. 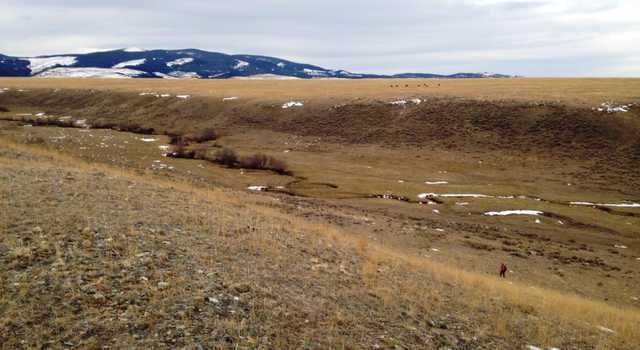 Typically the deep snow in the mountains to the west this time of year would push the elk out into these canyons and on down onto the flats. Unfortunately for us, the weather has stayed fairly warm and the snow has not piled up. We spotted a group of elk in the back canyon, but with wind gusts upwards of 70-80 mph, we could not effectively use the spotting scope to identify if there were any bulls. So off we go to hike and get closer. Several hours and miles later we find ourselves back at the truck. 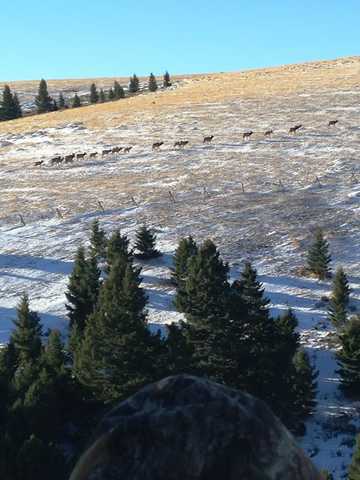 The group of elk which looked like it had several bulls from the distance, turned out to be a group of 8 spikes only. On down the mountain we came to the herd of elk that has been hanging out on the flats for the last couple of weeks. The guides had spotted at least one bull in the group. The evening found us crawling through the field to get in range, but we could not find a legal bull in the group. I still have an elk tag, and the folks at Rawhide are going to allow me to harvest a cow. In the fading light it was too hard to distinguish cows from spikes, so we backed out to try again tomorrow. Day three found us back up north in the Big Belt Mountains. It is windy and snowy up here and we are hoping to find a bull working back up the mountain after coming down low last night. This windswept peak produced no sign of the elk. Time to again put on some miles and drop down into the canyon behind us. The guide called this the hell-hole. It is a steep, thick-timbered canyon with knee deep snow. This area has not been hunted in a couple of weeks so we hope to find some unpressured animals that have moved into the area. Found fresh tracks, rubs and lots of sign, but no elk to be seen. The weather finally broke and the wind calmed down. This amazing view is how we spent the evening of the third day of our hunt. We did finally find some elk, but only laid eyes on a cow and a spike. The bulls are still being elusive. Dad's starting to get a little antsy about his opportunity. He has told the guides that he is a "hard-case". I can't disagree with him. 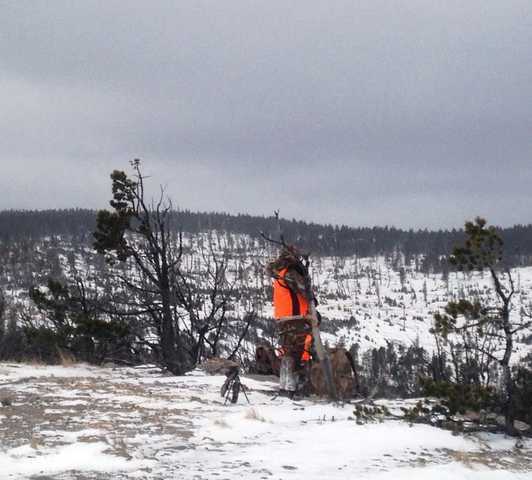 He has now hunted hard for eight days with two different outfitters and has yet to find a bull elk. Day 4. Dad missed a bull this morning. He is tearing himself up about it. It was his first opportunity on a bull elk. We were working our way down a forest road on the property in the Helena National Forest. The guide and my dad actually walked past the bedded elk, but I spotted it when I looked down the mountain to our right. I whistled them back and we tried to determine if it was a bull but all we could see through the trees was a light colored body and the tip of his nose. Troy tried to work up the road to see if he could see antlers from a different angle while dad and I got set-up for the shot. The elk stood up and we immediately saw antlers, but he took a step forward so that all vitals were behind a tree. Dad settled his cross hairs as far forward on the body as he could and tried to squeeze the bullet by the tree. His shot was off by about an inch, hitting the edge of the tree. It was a clean miss, but the sound of the bullet hitting the tree sent the elk running with no chance to catch up to him. Disheartened and sick to his stomach, we left for the flats and the big herd which still held a small legal bull. The herd was actually getting close to the edge of the property line, so the outfitter wanted us to shoot an elk even if we could not find the bull to turn them around. We snuck into position, but could not locate the bull in the middle of the herd which had to number over 200 elk. I picked out the lead cow and dropped her. That's some prime freezer filler right there. One of the best things about hunting is the number of gorgeous sunrises and sunsets you see. Our days are dwindling. Dad is doubting himself after missing his first opportunity. November 21, Day 5 of our 7 day hunt. We are back after the elk on the flats this morning. 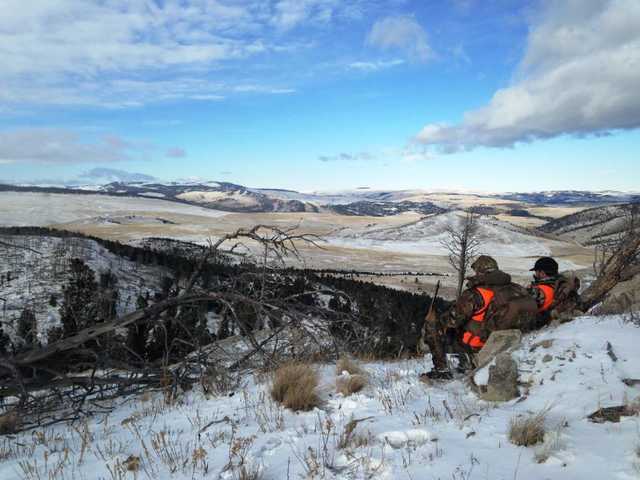 As tough as it is to hike the mountains and spot and stalk the elk, this flat land hunting is even harder. These animals are bunched tight together. There are over 400 eyes out there looking for movement and danger. There is nothing to block the wind. We manage to locate the single legal bull in the big herd. He is screaming and bugling at all of the spikes, and chasing them off as he tries to claim this huge group of cows for himself. We lay here for a long time trying to line up a shot that was clear of other animals and presented a good shot at the vitals. Finally it was time to shoot, and dad missed again. Shot right over his back at 315 yards. Dad tried to compensate just a little too much and again missed by an inch or two at most. The herd bunched up tight and did not offer a follow up shot. Its the penultimate day of the hunt. The weather has warmed to over 50 degrees, and it is now or never for dad. He is determined to take an elk home with him, so we have told the guide that day 7 is any elk day--he will take the first good shot at a cow that he can get. But we have one more day to find a bull. Back in the canyons again this morning and we spot a group of 20 elk with a legal bull working up into the canyon from down on the flats. The wind is at our back so we wait for them to move a couple of miles across the flats to the mouth of the canyon we are on top of. We hustle across to try to get in position to ambush them as they move up the canyon. This set-up seems perfect, they should funnel right below us at 100 yards. Movement to our left catches our eye and we freeze. A group of a dozen or so calves is on the same hill as we are and is less then 50 yards away. They quickly move down into the canyon and we wait for our bull to come out. Soon we start to see elk moving through the trees, but no bull, they are all cows and spikes and there are definitely more than the 20 we saw go into the canyon. Then we see elk starting to file across the hillside across from us. 100 elk later we see a good bull. And then another. But do you see that fence in the picture? That is the property line. They are about 20 yards on the wrong side of the fence on the neighboring ranch and we can't shoot them. Our little group of 20 picked up over 150 more elk somewhere in the bottom of the canyon and they pulled them across onto the other property. It was an amazing sight to have that many elk, that close, but it was another missed opportunity. We hunted the rest of the day and did try to chase another bull, but were busted by a group of calves bedded down in the sage grass that we never saw. So on Day 7 dad finally killed an elk. It was not a bull, but it was a nice big piece of meat, dad would not be going home empty handed again. So while it was disappointing that dad did not get his bull, and that he missed on his two opportunities, he did kill an elk, and we had an amazing time hunting hard for 7 days in Montana. I am addicted to Western hunting now. Not sure if I will ever get to go on another guided hunt, or if I will be going DIY, but I will be back. The crew at Rawhide Guide Service was outstanding and they really took care of us and the other hunters in camp. I highly recommend booking a trip with Roy. 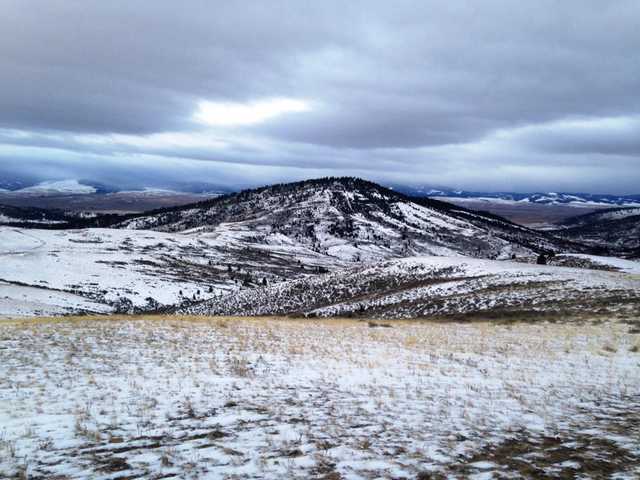 In seven days of hunting we were into animals every day, and saw well over 1,000 elk in this game rich area of Montana. You write a great story Josh! Congratulations on your elk and deer. I archery hunt with Rawhide every year I can and always have a great time. Roy, Lenny, Mike, Troy and the other guides all do a great job. Great story. I know a little about that large herd of elk you spoke of. 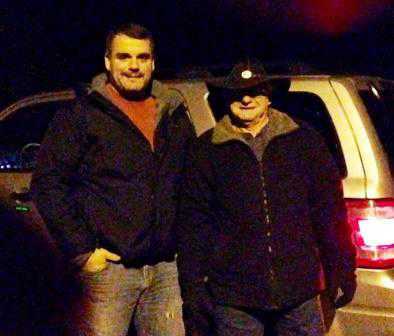 Two of my sons, me, and a friend from Maryland and Pa found that herd earlier in the season while hunting with Rawhide. All four of us managed to get bulls. What a great experience in Montana........again! Thanks Lenny, sorry we could not catch up, and sorry you did not connect in Kansas. Josh, glad to hear that your dad at least took a cow - great eating there for both of you. I know that fence line that you showed in the one picture. We chased a cow through a canyon on the "right" side of that fence for my friend but she didn't come out in the right spot to provide a shot. We took our cows a day later with Roy. We're looking forward to going back out to hunt with Rawhide this coming November. A bull would be nice but I'll take another cow if we get down to the end of the hunt. They eat better than an empty tag as you well know. Have a good new year! A great story, Josh! 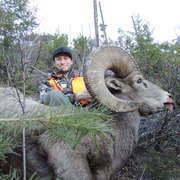 I know how addicting Western hunting can become, especially for us East coast hunters...stick with it!